Global BDS activism is vital – the most effective initiative challenging Israeli ruthlessness, essential to preserve and support. Calling UNHCR criticism of Israel support for BDS, notably its March 2016 blacklist of companies operating in Occupied Palestine on stolen land. Expanding the Export Administration Act (EAA), prohibiting involvement with any foreign government’s boycott of Israel. Prohibiting Americans from responding to boycott requests from international governmental organizations, including the UN and EU. Requiring the Export-Import Bank to consider an applicant’s BDS-related activities when considering granting assistance. Assuring nothing legislatively alters established US policy on final status issues, including borders, Jerusalem, and other issues left to Israel and Palestinians to resolve on their own – assuring continued occupation harshness and denial of fundamental Palestinian rights. Prohibiting commercial activities intended to harm Israel. Expanding and coordinating cooperation by America with Israel to counter BDS. 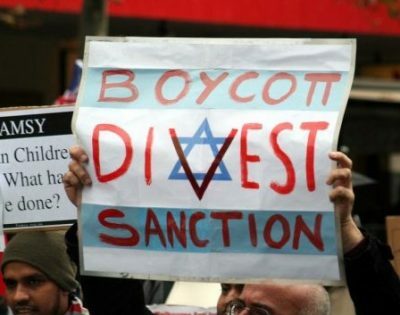 Criminalizing BDS activism flagrantly violates First Amendment rights. Human rights groups strongly oppose proposed Israel Anti-Boycott legislation. The ACLU blasted it for “punish(ing) individuals for no reason other than their political beliefs.” Requesting BDS information would be illegal. Penalties would include stiff fines up to $1 million dollars and/or imprisonment as long as 20 years. Dissent is the highest form of patriotism, First Amendment rights to express views freely fundamental. Without them, all others are endangered. Israel is a Ziofascist, racist police state. Opposing its ruthlessness is an obligation along with a right. Criminalizing free expression is the hallmark of dictatorships. In Abrams v. United States (1919), Justices Louis Brandeis and Oliver Wendell Holmes called disagreement with free speech never a reason to condemn it. Their views strongly influenced nearly all subsequent High Court First Amendment rulings. If Israel Anti-Boycott legislation is enacted, federal courts should strike it down, affirming its unconstitutionality. Scores of human rights groups oppose it, including the ACLU, Center for Constitutional Rights, Council for American Islamic Relations, Peace Now, and Jewish Voices for Peace, among many others.